Below are various types of hanging packaging examples. This is to demonstrate how many variables there are to these packages. And how the unique design of Collectible Hangers allows you the flexibility to layout a display with more than one type of package design (or package shape/size). Most displays only allow you one package type (or shape/size) to be displayed. 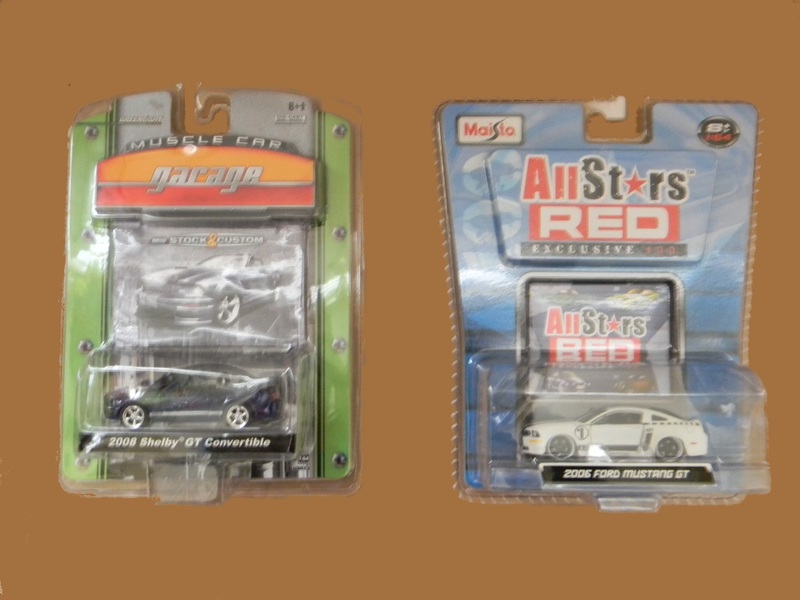 And most often this is the “basic or standard blister pack“, or “card” type packaging. 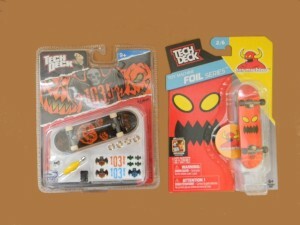 The following [Fig-1] are examples of what folks most often refer to as the “basic or standard blister pack“, or “card“. We would classify these as “Face-seal” blister pack. This has only one “card” to attach the collectible and requires about a 7-mm flange to seal the blister to the card. 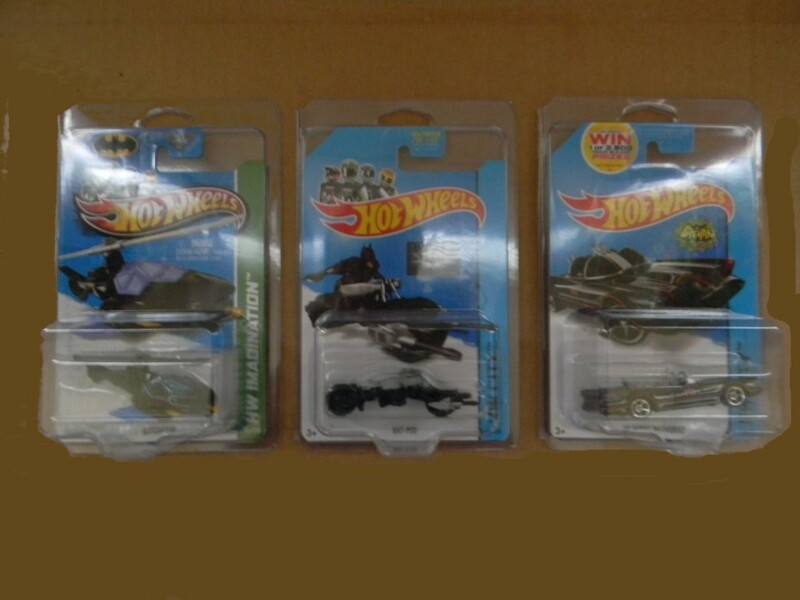 Again, this is probably the most popular blister pack type when discussing die-cast collectibles and may be viewed as the ‘standard’ or ‘basic’ blister pack type. 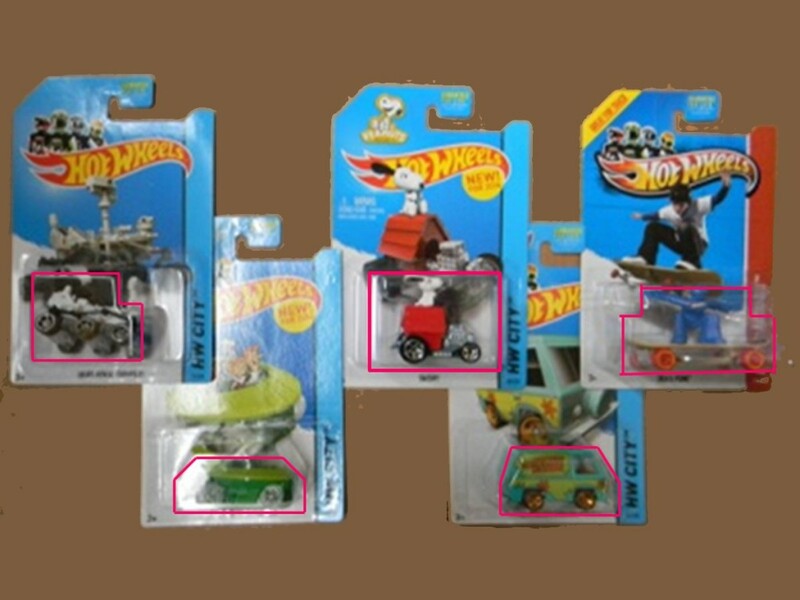 As you can see outlined, the blister (or clear plastic) attached to the “card” are different shapes and sizes depending on, in this case, the die-cast vehicle. Here [Fig-2] we have a “Clamshell” on the left. A popular multi-car package in the center. This is a type of “Trapped Blister Pack“. And the one on the right is just a larger “Full-seal” blister pack. In the next example below [Fig-3] we have “Protectors” used to cover the “Full-seal Blister Pack” type packaging. Following [Fig-4] are a couple of examples of larger die-cast packaging. The left is still a “Full-seal” Blister Pack and the one on the right is also a “Full-seal” Blister Pack in a larger type “Protector“. 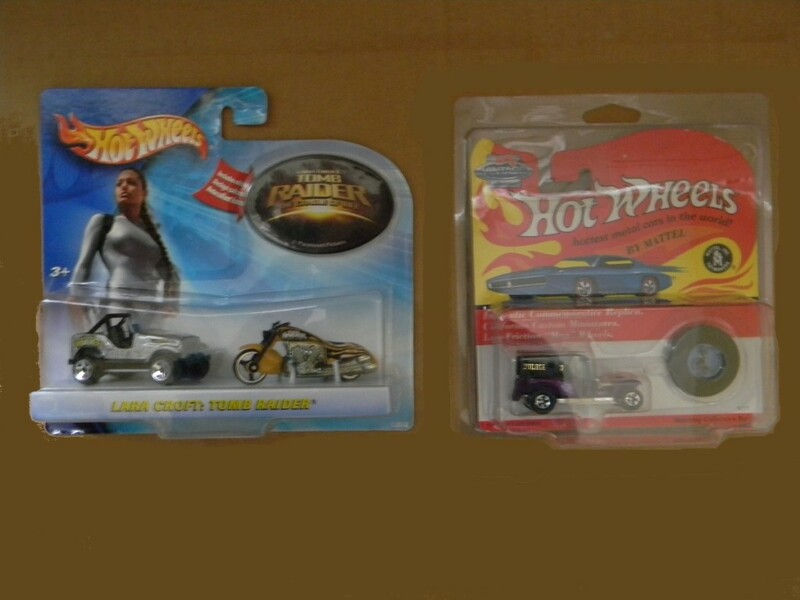 Next [Fig-5] we have 2 more examples of “Clamshell” packaging. One of the more difficult type of packaging to display. NOT a problem with Collectible Hangers! 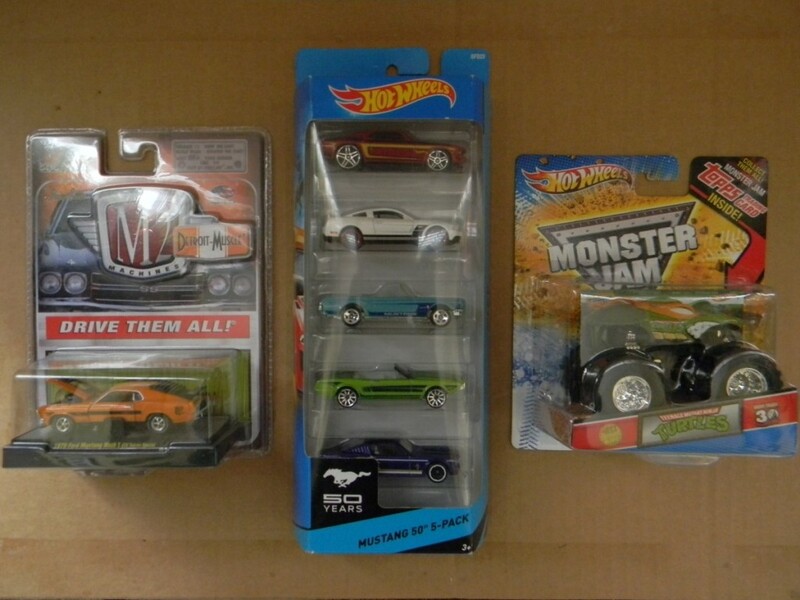 Now [Fig-6] we see below some “Non-die-cast” examples. You have a “Clamshell” on the left and a “Full-seal” Blister Pack on the right. Once again, the possibilities are endless with Collectible Hangers!